Wellington Chamber of Commerce CEO, John Milford, has spoken out about proposed increases to fire levy rates and called for an explanation from the Minister of Internal Affairs Peter Dunne for why ‘this flawed and unfair course’ was chosen. 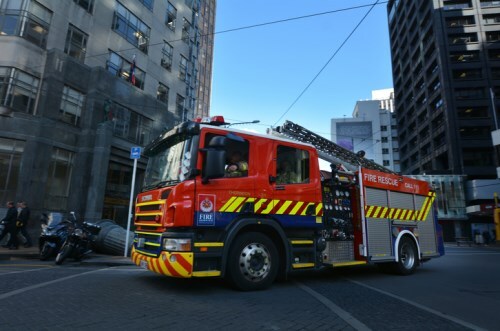 “The issue is that Fire Service levies are added to fire insurance premiums despite the benefits of the service accruing to all New Zealanders, not just private groups or certain sectors of the economy,” Milford said in an opinion piece on stuff.co.nz. He said the thought process behind the way the Fire Service was funded was in sharp contrast to the ‘sensible and enlightened’ thinking used to bring the ACC out of deficit and said business had applauded those changes. However, it was not the case for the Fire Service. Milford said the Government had rejected BusinessNZ’s calls for a review to make general taxation a major source of funding and had persisted with taxing insurance, which was, he said, a ‘fundamentally flawed concept’. “Of particular and immediate concern is a proposed 40% increase in levies on many residential properties, motor vehicles and commercial properties, to be introduced next year, some of which will help pay for the merger of the Fire Service, National Rural Fire Authority and 76 Rural Fire Authorities to form Fire and Emergency NZ (FENZ),” he continued. He said one businessman in the hospitality industry had told him that a 40% levy would increase his insurance bill by $9,000 a year. “As a responsible owner he says he would pay for it, but it would put pressure on his business and he would have to fill a lot of extra rooms,” he explained. “For others, such an increase could make insurance unaffordable. “It’s not only fire insurance that will be affected. The funding model for FENZ includes a levy on material damage insurance contracts as well as fire insurance. So there’s no escape. “Business believes most of the cost of fire and rescue services, from which everyone benefits, should be funded from general taxation, with a relatively low-level contribution from fire and rescue service users via user charges. Milford said Peter Dunne, the Minister of Internal Affairs, had been ‘quiet on the issue’. “We need an explanation from him as to why this flawed and unfair course was chosen,” he said.